A: Yes, both dry storage and refrigerated storage is available for our users. Is this a certified commercial kitchen? 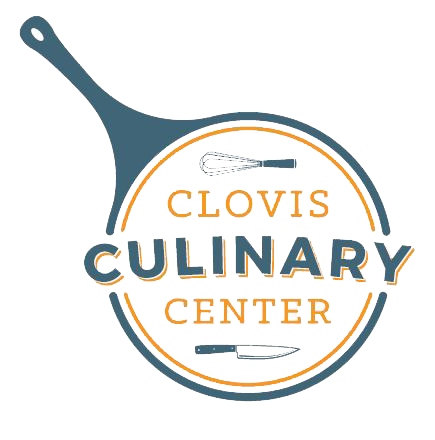 A: Yes, the kitchen is certified by the Fresno County Department of Environmental Health. Do I need any sort of certification to start using the facilities? A: Yes, if you will be preparing food, you must have a ServeSafe certificate. If you don’t have one, we can help you obtain one. Just ask. Can I arrange for deliveries from food distribution companies to be dropped off while I am not there? A: Yes, we are able to accept your deliveries for you. Do you have pots and pans and other utensils? A: No, you must provide your own smallwares. A: We have professional grade convection ovens, six-burner ranges, a stockpot range, a combi oven, 30-quart mixer, plenty of prep sinks and tables, and much more. If you have a specific need, please let us know. How hard is it to book time in the kitchen? A: It’s super easy. The commercial kitchen is a shared use space and we are able to accommodate several users at a time. We will work with you to determine what kind of equipment you need and help you book kitchen time that meets your needs and schedule. Can I hold business meetings or classes at the facility? A: Yes, users are able to hold small meetings and classes on site. But you will need to schedule these in advance.